Everyone has a credit report (credit file) which is held by the main credit agencies in the UK. Your credit report contains comprehensive information on your financial background and arrangements going back six years. When you apply for credit the credit provider runs a ‘search’ on your credit report to help them establish if you are a suitable applicant. If you intend to apply for a mortgage, it is important that you check your credit report to see if there are any problems recorded on it that may be of concern to a mortgage lender. It is your right to access a copy of your credit report although the credit reference agency can charge you £2 to provide you with a copy of your ‘statutory credit report’. Credit references agencies are commercial organisations and as such offer you supplementary credit related services at additional cost. You therefore have a choice when you contact them to either request your statutory credit report or subscribe to their credit reporting service. The main credit reference agencies offer free trials of their credit reporting services and these mean you can often access your credit report on line immediately (a provider has a 7 working day window to provide you with a copy of your statutory credit report). 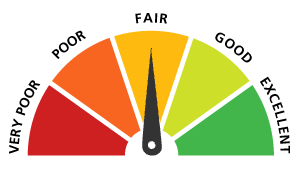 If you have any problem with the way a credit reference agency or credit provider is behaving in relation to your credit report you can take this up with the Information Commissioners Office.